Mirene Ghossein was born in Beirut, Lebanon in 1935. She holds an MA in Philosophy from The Lebanese Academy and a PhD in Comparative Literature from Columbia University. At age 17, she started working with a Lebanese group whose goal was “to do something for those who can’t do anything for themselves.” The group’s members came from all walks of life, various religions and ideologies. The lesson she hasn’t forgotten is this one: we are all born equal only if we can prove it, by making the other part and parcel of our vision and work. It is possible to get along with anyone, if personal interests don’t get in the way. She came to the US in 1958 with her husband, had four children and was a full-time mom for 18 years. 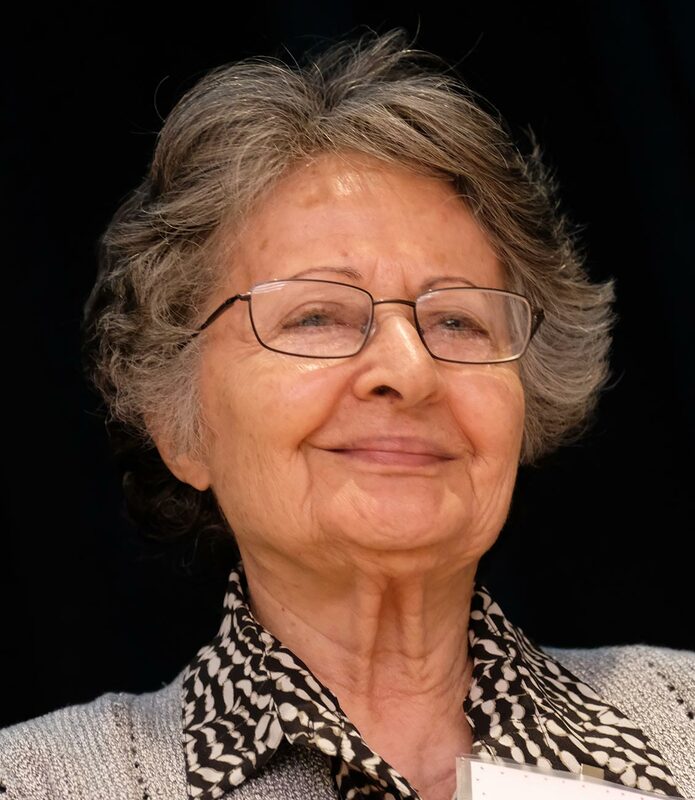 She worked for many years with the Washington based Arab-American Cultural Foundation, organizing literary and artistic events for Arab poets and visual artists from the Middle East and the US. Friend and translator to many Middle-Eastern artists, she co-translated many books, mostly poetry, with Samuel Hazo, and with Kamal Boullata including If Only the Sea Could Sleep, love poems by Adonis. Other groups which cherish her contributions include AAUG (Arab-American University Graduates) and with Alwan for the Arts, an Arab-American cultural organization. She is always trying to remember the place of the “other” in one’s life.